A study quoted on Inc. reports that 85% of job applicants lie on their resumes. While it’s not always intentional, resumes and interviews are meant to find the perfect fit for the job. That includes additional effort and studying for interviews, dressing formally in order to impress interviewers, and always projecting the best possible version of yourself when applying. With that in mind, professional applicants can dodge most tricky questions and reply with canned responses that have been thoroughly considered upfront. Moreover, some experts may fail the interview despite being a great fit. Given that unequal environment, it’s a combination between describing the business needs and predisposing candidates to giving honest answers. Interviewers try to gauge previous experience at work, hobbies, extracurricular activities at school. This is a norm for most Ivy League colleges as well – after all, hardworking people have diverse expertise in various areas which take time and effort. It also requires a subjective assessment of motivation and passion. An interview can outline the overall attitude of a candidate toward the job and the field of work. Additional factors such as response times before arranging an interview, showing up on time, and sending a trial project before the deadline are also important. Oftentimes, we are more inclined to hire less experienced candidates that are eager to work hard and study the internals of a given job. They are motivated and genuinely interested in learning everything they’ve studied and tried themselves, but couldn’t practice long enough. That doesn’t exclude qualified senior staff – but motivation is important for our company culture (since we often organize different workshops or attend industry conferences). Candidates who openly share their evening and weekend activities can send a positive signal during an interview as well. Being an active member of an industry meetup group, a volunteer at events, reading popular industry blogs and magazines are a good indicator. Working on pet projects or maintaining a blog or an active educational social media channel is a good sign, too. Having a portfolio of home-made projects or other assignments published online or listed in the CV means that the candidate is also willing to invest the extra time and effort. We’re usually fairly transparent while conducting interviews internally. While we don’t enforce overtime (except for some team leaders working across time zones), we do believe that career growth is not limited to the 40-hour work week. Our best team members engage in workshops, hackatons, industry events or other collaborative initiatives that help them grow. We share that openly during interviews and explain how our team members contribute to different areas outside of work. We are also quite zealous in terms of deadlines and take our commitment to clients seriously and people are expected to communicate proactively in case of possible delays as early as possible. This is explained upfront as well. Even if an applicant manages to dodge the tricky questions, it becomes fairly clear that they aren’t a good culture fit if they turn off their phone at 7 pm and always decline an invitation for additional team activities. 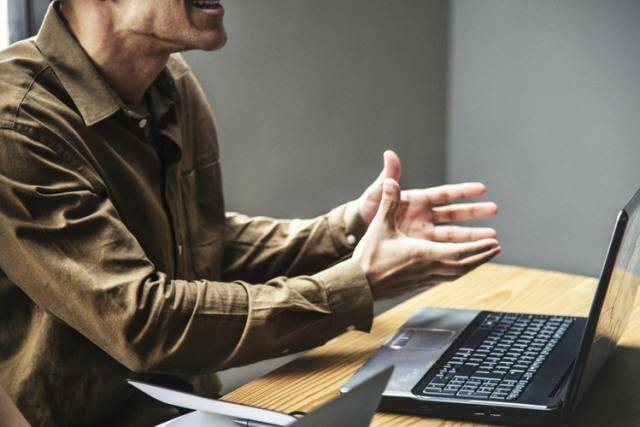 Some companies don’t require that involvement, but those who are looking for motivated staff members should communicate explicitly and expect a lower hiring rate as a result of that. – All jobs require some sort of training and onboarding contingent on an open mindset and willingness to learn and adapt to a new environment. – Instead of applying the “shotgun approach” by pitching your CV to 50 companies, pick 2–3 and apply carefully. Study the companies and understand their purpose, business model, and the types of activities you’d likely be engaged with. – No job description or interview out there reveals the full scope of a job and the long-term opportunities. Through genuine curiosity, you can ask several relevant questions regarding your day-to-day, the intrinsic motivation of the existing team, the company policy or anything else relevant to your skills, and how you can apply them in practice. – The closer your profile to the job description, the more likely it is to receive an offer. Onboarding may take a couple weeks or span across 6–9 months depending on your familiarity with the industry and the job. Former experience (or extensive study) within that area will help alleviate the initial friction and you’ll become more productive. – A sense of purposefulness and commitment to the company and the job. An indirect reason which would keep you around for a few years without having to look for alternative job offers every now and then. – Communication is an important factor during interviews as it’s a requirement for any type of job. Being able to clearly articulate your goals and showcase your skills is a key factor during the interview. – You will also interact with various colleagues and managers within the organization – which is why a team spirit is important. While it’s not something that you can state in your CV (even though many try to), make sure that you explicitly mention the importance of a healthy working culture and a strong bond between team members. – Reasonable payment expectations within the market norms are important for smaller and medium-sized businesses. Not every business can afford top-paid talent or are willing to commit to those expectations right away during an interview. Hiring staff is a company responsibility that should not be taken lightly. Most governments and syndicates around the world are extremely protective toward employees. You know the drill – companies are abominations of the capitalist society that exploit manpower and squeeze the best out of their slaves. In various European countries, layoffs may be prohibited unless you’re closing an entire department, filing bankruptcy, or firing the employee due to serious disciplinary failures. Otherwise, the company is required to pay several salaries upfront and cover additional benefits for the employee. As a result, a wrongful hire may cost the company a fortune. 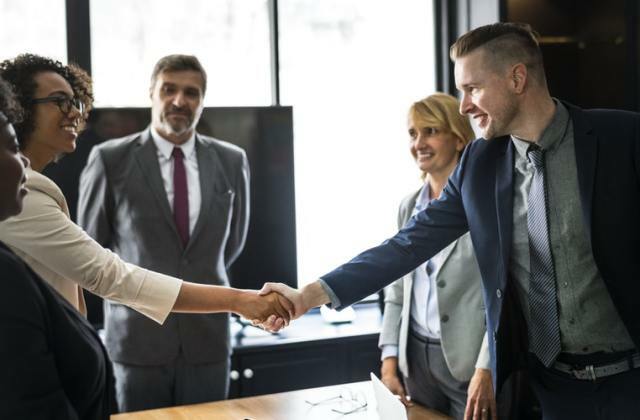 Small businesses may simply close shop if they hire a couple applicants that don’t support the business initiatives in the best possible manner. I won’t even cover the expensive process of publishing job descriptions, sifting through applicants, going through interviews, hiring an employee (while taking care of tons of paperwork), allocating office space and equipment, handling the internal training/onboarding and working along with other team members over the first months. That’s one part of the story. A friend of mine encountered something frightening in their office last year. One of their colleagues was handcuffed at the office. Turns out he had escaped from a court order for a case they were involved in. They were the prime suspect and basically dodged a bullet without knowing it. Their company hadn’t been doing thorough enough background checks. They had been expanding fast and so hired dozens of people within 6 months. And there’s also the part about finding the right (or wrong) fit before scheduling an interview. A CV – or even a cover letter – showcases a tiny portion of the work and personal experience of an applicant, and they are aimed at portraying the best possible profile of the applicant for the sake of landing an interview (and a job). However, there are two additional details here. Some applicants may act outright inappropriately in public. Think of illegal protests on the streets, supporting certain shady organizations, posting tons of photos from night bars near drugs and tons of alcohol and the like. That may very well impact the company’s reputation – let alone the probability of rampage backlashing after a layoff. Other applicants may enjoy certain activities or participate in various organizations that may be important to the company. While looking for a marketing assistant at the moment, we’re building complete profiles of our applicants that include conference talks, non-profit activities, and different hobbies that may resonate better with our existing team members. All in all, building a more detailed profile of an applicant through a background check is much more convenient for an organization. It’s about risk management and finding the right applicant for a job. Most jobs cannot create a good sandbox environment for testing a candidate during an interview. Software development companies ask for GitHub or Bitbucket profiles. Content writers are asked to provide a portfolio of their work. But that’s not applicable for many – which is why the best public profile has a higher chance of landing an interview and a follow-up offer. The post Hiring Staff: Important Considerations And Why Background Matters appeared first on Mario Peshev. The article Hiring Staff: Important Considerations And Why Background Matters appeared first on DevWP.eu.